Spinach is full of lots of essential vitamins and minerals, including B-vitamins and magnesium. Both of these nutrients have been tested for their efficacy in reducing migraine frequency and intensity, and have been shown to reduce migraines to at least some extent. 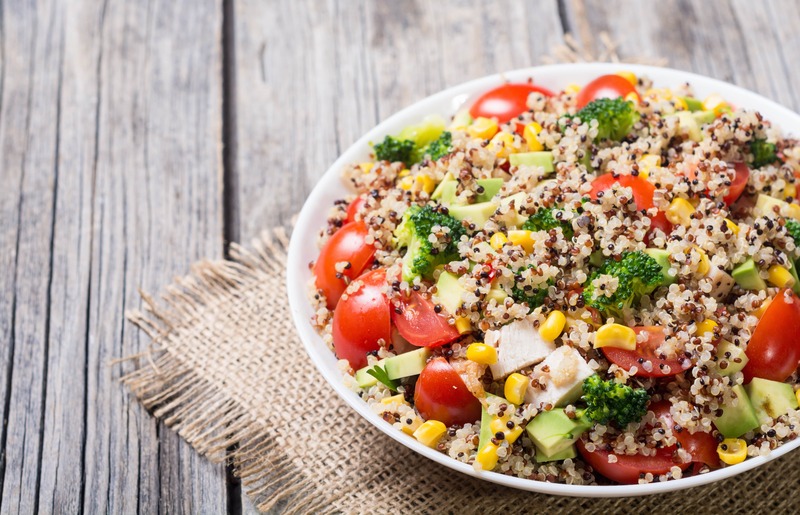 Quinoa is a good carbohydrate alternative for those who find that refined carbohydrates such as pasta and white rice are a trigger for their migraines. As well as being high in vitamin B2 (riboflavin), which has been especially proved to be effective in reducing migraine frequency when taken as a vitamin supplement in a 2016 study. Quinoa also contains lots of other nutrients which are essential to our health. It’s high in protein – containing 24 grams per cup of dry quinoa, which means that it’s great for keeping your brain cells and brain function on top form. These seeds form the basis of hummus, so it’s easy to get a good dose of sesame seeds into your diet! These seeds are high in vitamin E and magnesium, both of which help to alleviate some forms of migraines. These wonderful vegetables are full of essential nutrients which play important roles in cellular processes which positively impact many migraine symptoms. They’ve got vitamins A, B6, and C in them, as well as potassium and magnesium, and are a good source of fibre too. This was posted in Diet, nutrition and migraines, Migraine treatment and tagged Alleviate, food, Four, migraines. Bookmark the permalink. ← Can You Treat Migraines with CBD Oil?